Since Christmas is coming up and we’re all going to be bogged down with Christmassy stuff very soon, Victoria (from VIKBeauty) & I both thought that it’d be great to put on an event and meet some of you lovely lot. ‘BBloggers Christmas’ is going to be a great networking event, we’ve got lots of brands involved so it’ll be a great day for you to come down and meet some of your favourite bloggers and speak to lots of lovely PRs. The event will be held in the very swanky Reebok Bar in Canary Wharf, which we’ve got all to ourselves! There will be a beauty quiz during the day, with lots of prizes up for grabs. 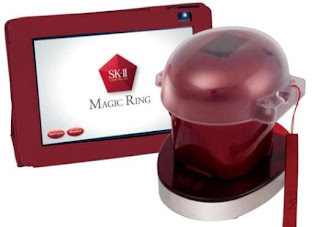 The lovely people at SK-II will be there with their Skin Diagnostic Tool, which can tell you your skin age (eek!) and give a good insight into your skin concerns. The SK-II therapist will also be on hand to answer all of your skin-related questions. There will also be some pamper treats available too, but more on this closer to the time – we don’t want to give everything away just yet! All attendees will also receive an amazing goodie bag! The price of the ticket is £10 which covers food and drink – and all of the cupcakes a girl can eat! Victoria and I would love to see you there so we hope lots of you can make it down for the day. Once you’ve bought your ticket then feel free to place this button on your blog to let everyone know you’ll be coming along! 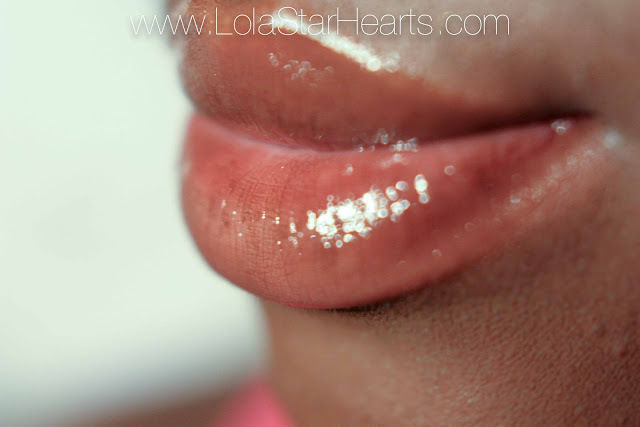 Since getting this lip-gloss in my Liberty GWP I’ve fallen in love with this brand. 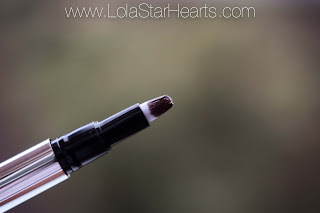 Ellis Faas Glazed Lips in Sheer Dark Brown (L302) is a highly pigmented sheer gloss enriched with Vitamin E.
I love the branding (yes, I’m a branding fiend! ); the bullet is just gorgeous. It’s so sleek and it looks nothing like a gloss. 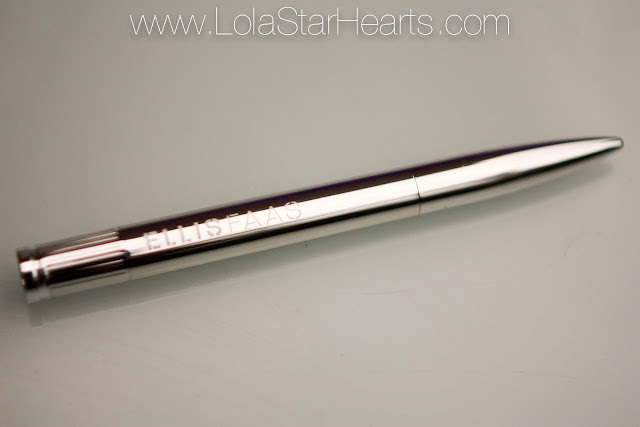 This is the great thing about all Ellis Faas products; they all have the same sleek design. Mascara, eyeliner, and even foundation. 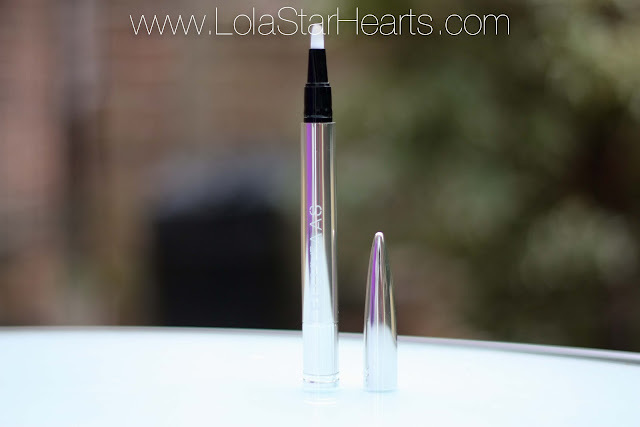 When you open it up it has a small lip brush, the perfect size for applying product. You simply twist the base and it slowly oozes out. I emphasise on the slowly as you have to twist it for an age to get it going at first! 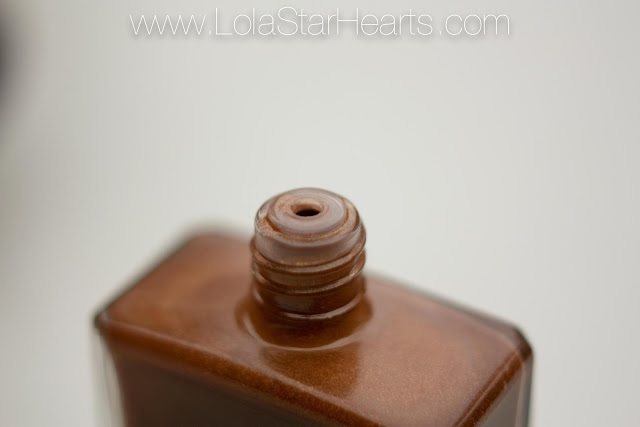 The colour is a very rich brown and although sheer it’s very buildable. 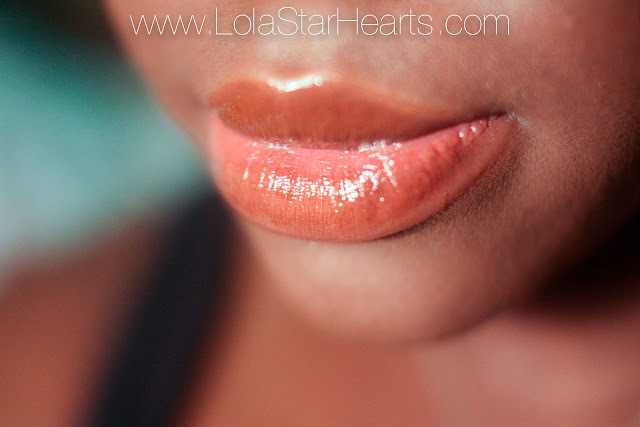 On my already quite pigmented lips I find that it’s very ‘my-lips-but-better’ – if that makes sense?! There’s a hint of colour but it’s not overpowering at all. I think it’s a perfect shade for winter wear, mainly because I like to wear it in the evening so it’ll be great when the dark afternoons roll in. The only thing I don’t like about it is the price. £22 for 2.8ml of product isn’t really my cup of tea. However you do truly get what you pay for as it’s a great product. 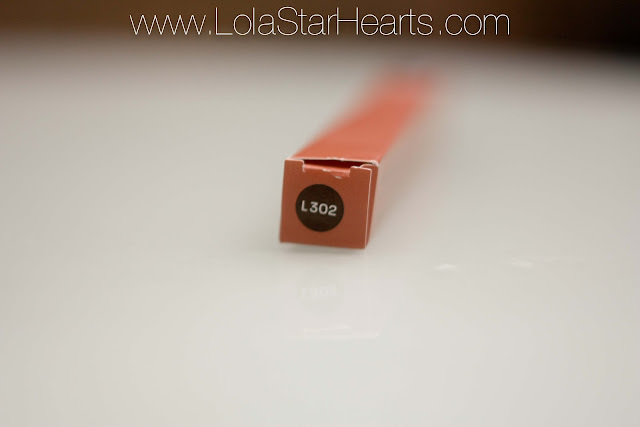 Bottom line: It’s a gorgeous lip gloss with gorgeous packaging and a not-so-gorgeous price. Would I repurchase? I already have! 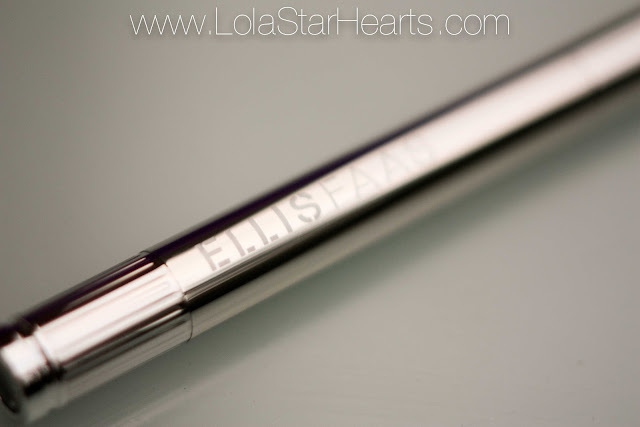 Expect another Ellis Faas review very soon! 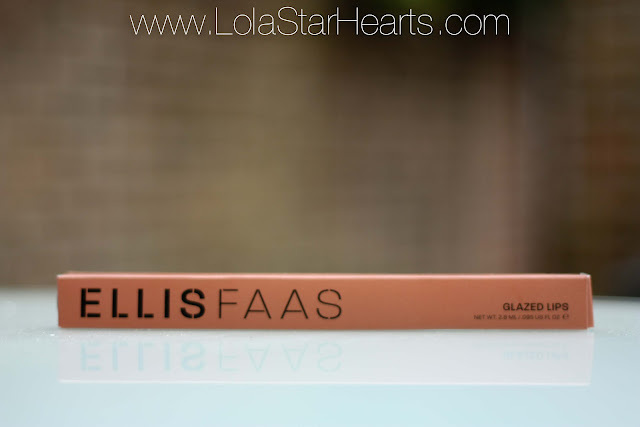 Ellis Faas Glazed Lips glosses are available to buy from Selfridges, SpaceNK and Liberty London, priced at £22 each. 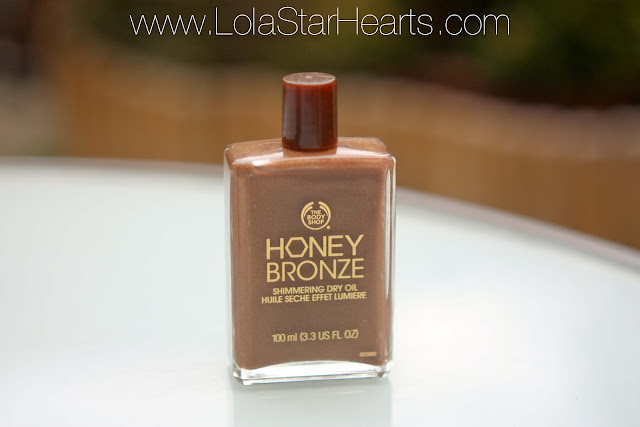 I got the Body Shop Honey Bronze Shimmering Dry Body Oil a while back after feeling a bit inspired by the #TFWOC Project. 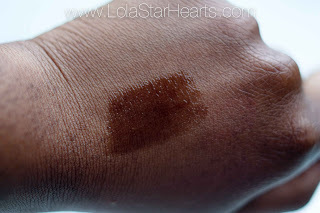 The oil is very lightweight and contains a really fine golden shimmer. 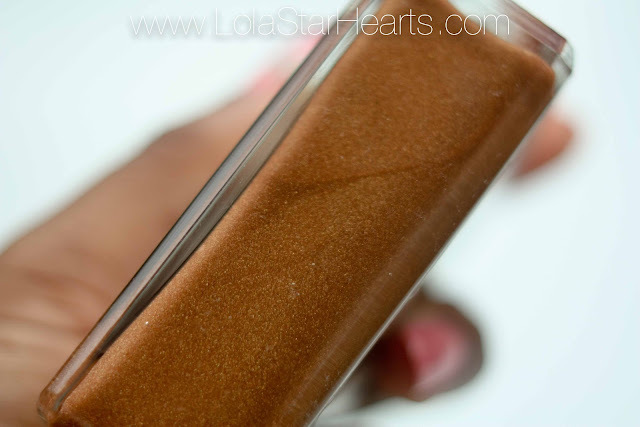 It’s not a disco ball kind of shimmer either, so it’s perfect to use all over the body. I mainly use this on my legs, arms and décolletage for some added radiance. 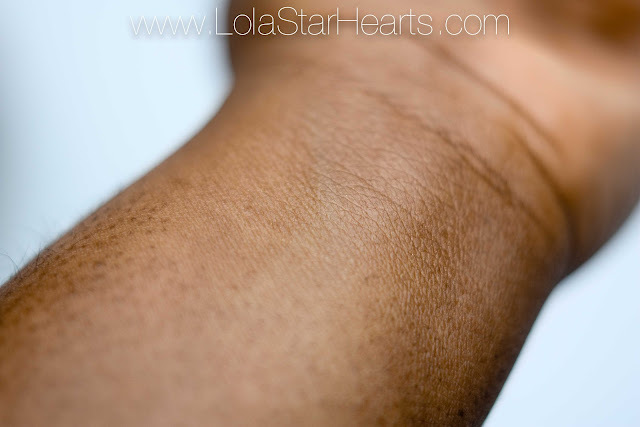 The shimmer is very subtle and works like a gorgeous body illuminator. Plus it’s not glittery at all, and it gives off a lovely bronzed glow. It contains Community Fair Trade honey and beeswax, which both help to moisturise and soften the skin. But since it’s a dry oil it’s not the best ‘moisturiser’ to use alone, so I’d say it’s best to put it on top of your normal lotion. The smell is probably what I love the most about this. It’s amazing. It’s quite floral and a little sweet, but with an exotic twist – I’m obviously not the best at describing scents. Don’t let the floral-ness put you off though; it’s less granny’s handbag and more sunny Caribbean beach. I’ve heard that this is very similar to NARS Body Glow, but I’ve never tried it so I can’t comment on that. It’s definitely a huge amount cheaper though at just £16, compared to the £44 price tag with the NARS Body Glow. My biggest peeve with this product is not the product itself but actually getting the product out of the bottle. Although it looks lovely, the glass bottle is a little impractical and the plastic stopper is useless. It’s so hard dispensing any oil without getting it everywhere, or hardly getting anything at all. 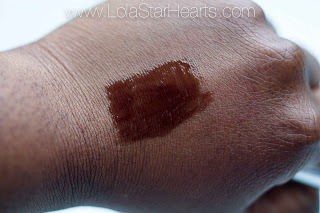 Bottom line: The smell is gorgeous, the shimmer is gorgeous and it’s WOC-friendly. What’s not to love? Would I repurchase? Probably not. The way this one is going it looks as if it’ll last forever. Failing that then yes, I would definitely pick up another one. The Body Shop Honey Bronze Shimmering Dry Body Oil is available from The Body Shop – in store and online – priced at £16/100ml. 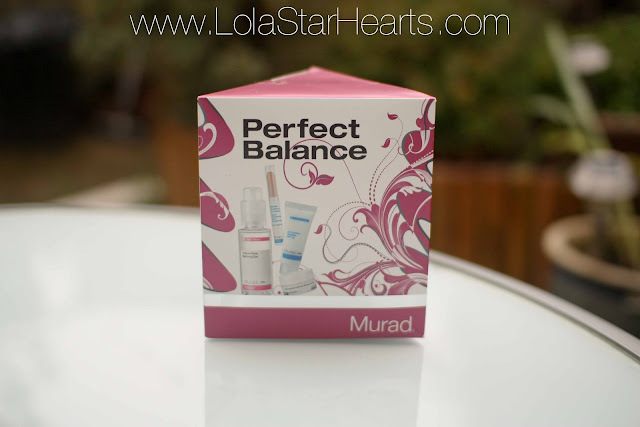 I recently attended a Murad Blogger Event and got to hear some top skincare tips from the man himself – Dr Murad. 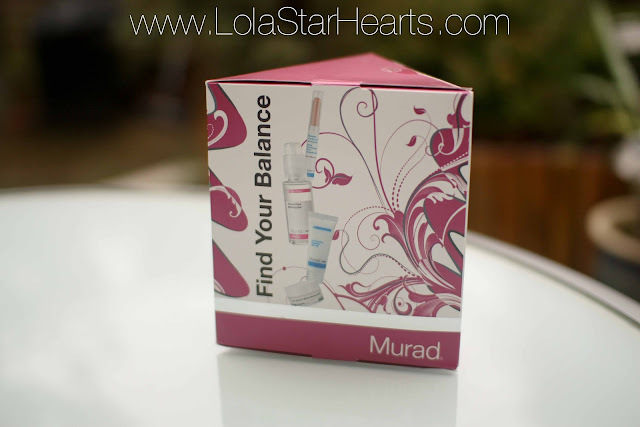 But not only did we get some great ips, we also got to see what’s new in the house of Murad – The Murad Christmas Kits. There are five different kits available, all of which aim to treat different issues, so there’s something for everyone no matter what your skin type. The products inside also massively exceed the kit’s price tag so they’re great if you just want to test a few things without bankrupting yourself! Altogether these products are worth almost £90, but the kit retails for just £42.50 – which I think I pretty darn good. T-Zone Pore Refining Gel – I’ll be doing a review on this soon as it’s special enough to warrant it’s own post. First impressions are fantastic though, so watch this space. 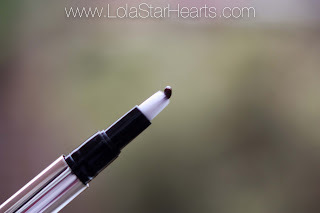 Blemish Treatment Concealer – Unfortunately I got this in medium so there won’t be any sort of review on this. 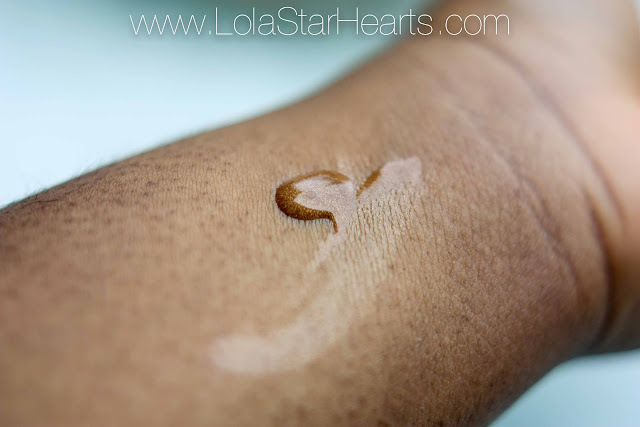 However you can see the concealer in action in my Difference IsClear post. The concealer also comes in light (pale beige) and dark (coffee coloured) however, not as part of the set. Oil-Control Mattifier – Again I’ll be reviewing this separately. But I’m liking it so far. Hydro-Dynamic Ultimate Moisture for Eyes – I’m not a big eye-cream user, but I like the fact that it’s in there. The full size is fairly expensive so this is a great way to try it. Bottom line: At £42.50 it’s still on the pricey side, but considering what you’re getting it’s definitely worth it. It’s a great Christmas gift for a loved one or just a treat for yourself! 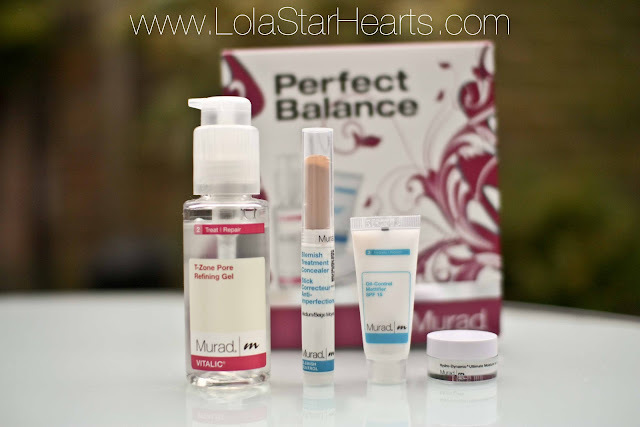 Murad Christmas Kits are available to buy now on the Murad website, prices start at £36. The other kits available include, Complete Renewal, Hybrids, Hydration Sensation and Radiance Rescue.